Native Americans are hit hardest by opioid addiction. The Center for Disease Control (CDC) reports that Native Americans have the highest drug overdose death rates and the largest percentage increase in the number of deaths over time from 1999-2015, compared to all other racial and ethnic groups. Indian Country is all too familiar with the opioid epidemic. Opioid epidemic, seems like a trendy phrase that’s received national recognition recently. But on reservations across the country, Native families have been dealing with the pain, trauma, and loss associated with opioid use, from drugs like heroin and OxyContin, for a couple generations now. With an aim to successfully combat a crisis that’s run rampant through the community for years, the Tulalip Tribes partnered with the brightest minds at Stanford University’s School of Medicine to create a one-of-kind medical cannabis research project. The goal: curing opioid-based addiction. An eagerly awaited community meeting took place on March 11 led by tribal leadership and Stanford scientists to share the leading edge study’s early indicators. “Through Stanford’s expertise and reputation, our partnership will scientifically prove cannabis can cure addiction”, said Les Parks, Tulalip Tribes Board of Director. “This meeting has been a long time coming,” stated Board of Director Les Parks. “We’ve been working on this medical cannabis research project since 2014, and this is the first time membership will be briefed with its details and results to date. Stanford is one of the most renowned universities in the country, if not the world, and happens to have a one-of-a-kind laboratory dedicated to the neurosciences. Through Stanford’s expertise and reputation, our partnership will scientifically prove cannabis can cure addiction. A painful, yet illuminating, moment was shared by all eighty community members who attended when Les asked the crowd, “Raise your hand if you have not been personally affected by the opioid crisis? If you have not had it affect your family or loved ones?” Not a single hand went up. 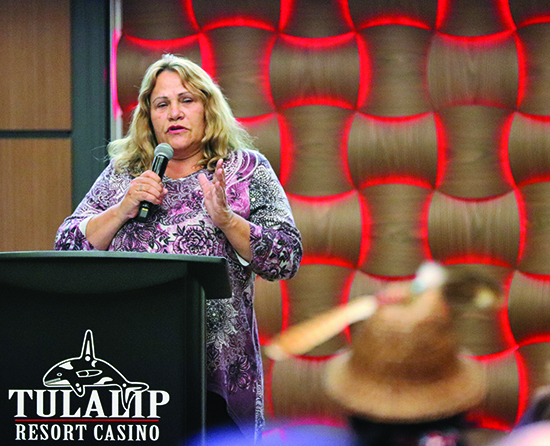 Tulalip Tribes Vice-Chairwoman, Teri Gobin, speaks on the benefits of using cannabis for healing opioid addictions. People have used marijuana, also called cannabis, for a variety of health conditions for at least 3,000 years. More recently, individual components of marijuana or similar synthetic substances have also been used for health purposes. These substances are called cannabinoids. Balancing traditional values with the realities of the 21st century means embracing a changing culture that views marijuana and cannabinoids as natural medicines, especially when compared to prescription pharmaceuticals. Pharmaceuticals with countless side-effects and man-made chemicals that receive FDA approval, only to come out later those same chemicals cause a litany of damaging health concerns with sometimes fatal consequences. 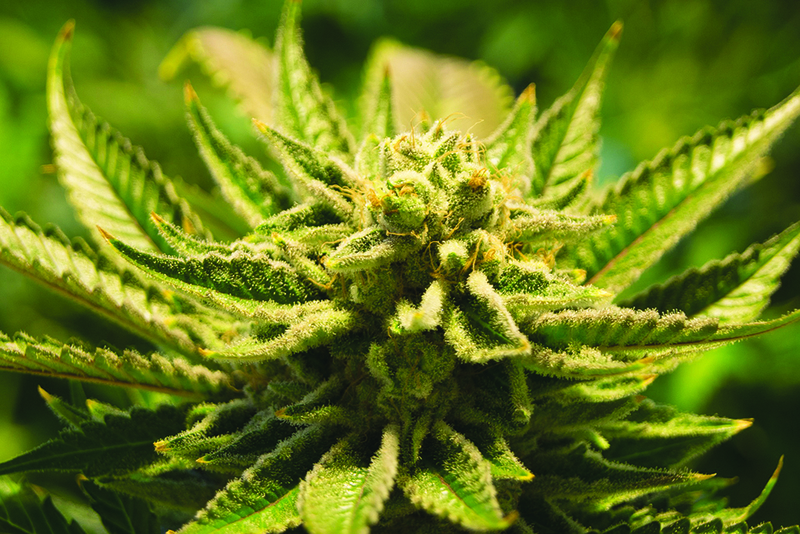 The changing tide in not only popular opinion, but science-based evidence as well with regards to medicinal properties of cannabis is rapidly gaining momentum. Since 2014, when retail marijuana became legal in Washington State, consumers have spent $2.95 billion on various forms of cannabis, according to the state Liquor and Cannabis Control Board. Remedy, the Tulalip-owned retail cannabis store and one of the first legalized marijuana dispensaries in Indian Country, opened its doors in August 2018. Tulalip was originally seen as embracing cannabis for business purposes only, but now with the Stanford partnership and the study’s implications for saving lives that narrative is changing. Dr. Annelise Barron, Stanford Associate Professor and bioengineer, was on hand to share early results of the study and to answer any questions concerned community members may have had. “It’s important for people to know this research we’re doing with whole cannabis oil, meaning it came from the whole plant, the leaves and the flowers, and its effect on addiction has never been studied before,” explained Dr. Barron. “This is the first time a study of this kind has been done, and it’s only possible because Tulalip invested in our ability to do the research. 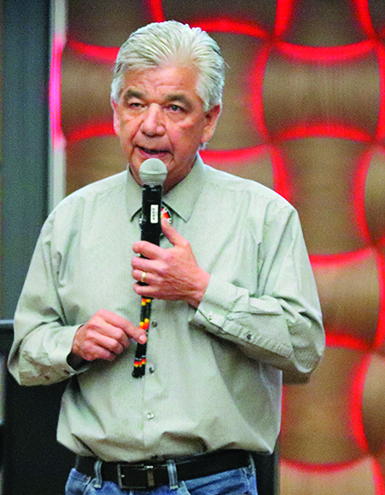 Striving to cure opioid-based addiction, the Tulalip and Stanford partnership has a lot of work ahead of them including the peer review process and submission to medical journals. Yet, only ten months into a thirty month study, the early indications are most promising. Reiterating an earlier sentiment, if lives can be saved then it’s all worth it.